Diversification might as well be Xavier Rolet’s middle name. The chief executive of the London Stock Exchange has bought into clearing, with the purchase of LCH.Clearnet. He was an unsuccessful suitor for the London Metal Exchange. He missed out on a merger with TMX, the Canadian exchange, and one chance to grow in North America. The newly-revealed ambition to take control of Russell, the U.S. index compiler and asset manager, represents another attempt to branch out. Russell’s stock indexes are the key attraction. The Russell 2000 benchmark is the big name in U.S. small-caps. LSE could join Russell together with FTSE – the index business it fully owns following a 2011 buyout of joint venture partner Pearson. Unifying the two would probably produce cost savings. LSE could also increase revenue by selling Russell index data to European clients and FTSE information to U.S. customers. There are hurdles. This is an auction, and the price could get chased up too far for LSE to justify. The Wall Street Journal says MSCI and Canadian Imperial Bank of Commerce are vying with LSE, and puts the price tag at about $3 billion. That is hardly bite-sized for the LSE, which has a market capitalisation of 5 billion pounds ($8.5 billion). To make things more complicated, Russell’s asset-management arm is also part of the package. It’s not clear why LSE should add money management to its already wide range of businesses. Investors might worry about the potential for conflicts with existing clients. A 2 percent dip in LSE’s shares on the morning of May 13 is hardly a ringing endorsement or a resounding rejection of the plan. Given LSE reckons it needs to raise fresh equity for a deal, a steeper fall might have been expected. So this probably reflects quite reasonable doubt that Rolet will catch his prey. Still, Starmine data shows LSE trading on 16.4 times forward earnings, 21 percent above their 10-year average. Shareholders appear to like Rolet’s diversification drive. London Stock Exchange, the exchange operator and compiler of the FTSE stock indexes, said on May 13 it was in talks about buying Frank Russell from the Northwestern Mutual Life Insurance Company. LSE said it intends to fund any purchase of the U.S. asset-management and stock-index firm partly by issuing new shares. The Wall Street Journal, which first reported LSE’s interest in Russell, said the unit could fetch about $3 billion, or roughly 10 times earnings. Citing people familiar with the matter, the newspaper said LSE was competing with MSCI Inc, the U.S.-listed index firm, and Canadian Imperial Bank of Commerce. 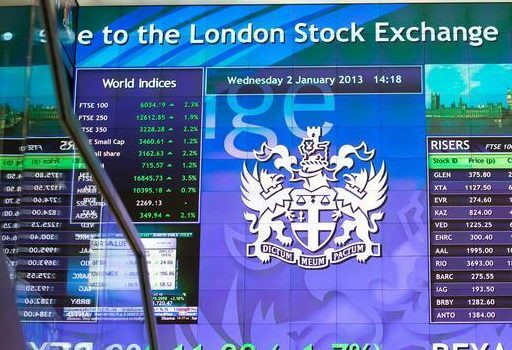 LSE shares fell 1.9 percent, or 36 pence, to 1,819 pence by 1015 BST.